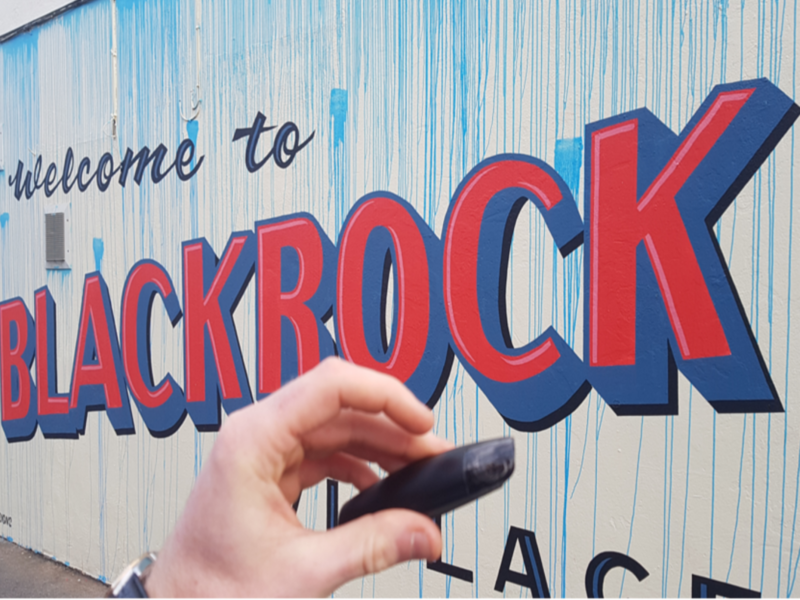 A lot of you have been asking, why open a Dublin vape shop or a vape shop in Blackrock more specifically. There are a variety of reasons, one of which is that I’ve been South Dublin born and raised. I’ve travelled the world extensively but as they say home is where the heart is and am proud to call Dublin my home. So why not combine my two biggest passions, Dublin and Vaping. So the hunt began to find the location for my Dublin vape shop , one that it truly deserved. After wandering through Blackrock on a cold winter’s day, I fell in love with the place. A unique town in the suburbs of South Dublin that still had an aura of a rural village to it. A strange mix of pubs new and old, high end coffee shops and premium cookware outlets. I was almost finished my marauding of the streets when the entrance to Blackrock Market caught my eye. I hadn’t been in Blackrock Market for the best part of a decade but the memories of fresh baked doughnuts and comic books came flooding back. I lived in the Blackrock Market every weekend as a young teen, but for some reason it had fallen out of my life. My interest was peaked and I decided to have a wander through it’s winding walkway lined with micro shops selling everything from premium leather bags to gourmet Italian food. So much had changed in the market since I was last in it. It was tidier, more polished with higher end offerings than I could have imagined, yet still maintaining the intimate, bustling market feel. With the banter of friendly traders shouting across the walkway, I eventually found myself outside a small Indian restaurant with out of this world aromas flooding from the door. I sat down without expectations and was blown away by what was the best Indian meal I had ever had in my life. I would later find out that the owner and chef was 2 years running voted Best Indian chef in Ireland and much deserved. With a full belly but still craving a bit of dessert, I ended up at a hand rolled ice cream shop in the market and was treated to an absolute spectacle of delectable ice cream being made right before my eyes. From then I knew, that my Dublin vape shop would in fact be a vape shop in Blackrock. It just felt right, the intimacy, the excitement and positivity that lined the walkways of this market. So I set to work designing the shop and building Europe’s first all-in-one e-liquid subscription service , Vapura. With a great selection of vape shops in the city centre, I always felt that the South Dublin vape shop scene was a bit lacking in terms of shop fit outs and service. So I wanted to build something special and in May 2018 Vapura finally opened its doors in Blackrock and launched the online platform simultaneously. Ever since then, we have aimed to every day build on our pledge to offer only the finest e-cigarette and e-liquids to the people of Ireland and service that is unparalleled in the Dublin vape shop environment. Whether you are just starting off on your e-cigarette journey or a seasoned vape connoisseur, Vapura has you covered. Every one of our customers and members means everything to us and we won’t let you down.